It’s not about winning, it’s how we play the game. On a hot summer afternoon in 2006, a man named Ibrahim Dimson walked purposefully through Atlanta’s Hartsfield-Jackson International Airport. It is the world’s busiest airport and has been for a long time. Dimson was just one of 104 million passengers who took off or landed there last year, 20 million more than Heathrow. So Dimson didn’t stand out. The only slightly odd thing about him might have been his luggage: just a single box of American Girl Scout cookies. Inside, where there should have been cookies, there was thirty thousand dollars in cash. Moments earlier he had exchanged an Armani duffle bag with a man known as “Jerry”. Inside that bag was a collection of documents, all marked confidential – and a vial labelled ‘Secret Formula’. So, who was “Jerry”? Dimson thought he worked for Pepsi. He also thought the Armani bag he had just handed over contained the secrets of Pepsi’s biggest rival, Coca Cola. 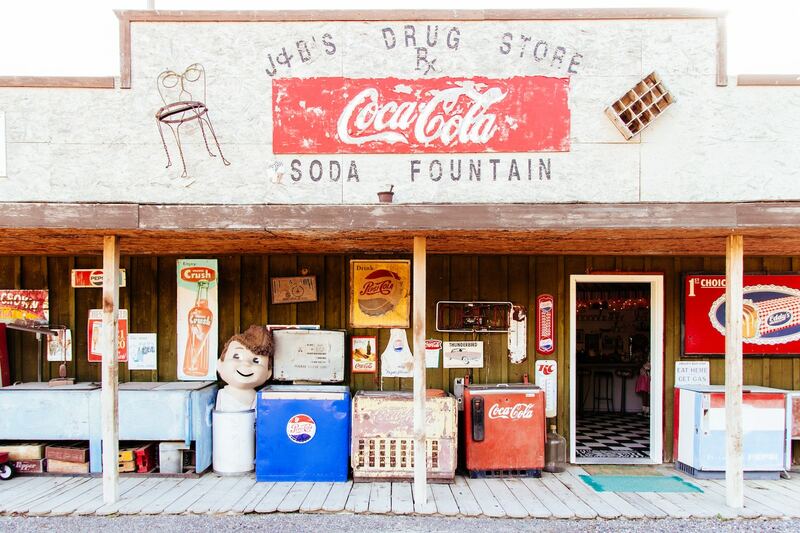 The secret formula for Coca Cola is held in a million-dollar vault. Only two people on earth know it in full. They can’t even board the same flight in case they are both killed in a crash. And since the late nineteenth century, Coke has guarded that recipe from its rivals, principally Pepsi. The company’s CEO would even ceremonially smash a bottle of Pepsi to introduce company conferences. So, it would have been safe to assume that those at Coke would have been pretty aghast to think of “Jerry” from Pepsi buying their secrets. Except that Jerry didn’t work for Pepsi. He worked for the FBI. Coke had known about the operation from day one. What might have surprised Dimson and his motley crew might have been how Coca Cola came to know and how the FBI became involved. When Dimson reached out to Pepsi, they didn’t hesitate. The first call they made was to their rival Atlanta. While this is a noble sentiment, the context must be examined. What was once a contained market between two embittered rivals changed in the late twentieth century. The game these two competitors were engaged in changed when the sweet sticky brown liquid became a cornerstone of modern life. Neither Coca Cola nor Pepsi could hope to truly dominate such a vast market, especially via such nefarious techniques as a stolen recipe. So instead of looking to win the game, it became enough for both players just to be playing. A finite game had become infinite. It’s a perfect example of the extent to which marketing is a game. It’s a very serious game to those who play it, but ultimately, it’s a game: a competition with many players in which the prize is market share. And within that grand fight for supremacy, smaller games take place all the time – battles for shelf space, share of voice and consumer perceptions against all kinds of criteria. But there’s one game in this ongoing war that stands out, due to its peculiarly chaotic nature – and that’s social media. That doesn’t sound much like the marketing most of us know. Finite games comprise a known number of competitors, alongside a set of agreed rules. Crucially, there is an objective. Games like chess, football and cricket all fall into this category. In a finite game you ultimately know how to win and you know who you are playing. Infinite games are quite different. In an infinite game, the competitors are not always known, and the rules are subject to change at any time. But most importantly, there is only one way to win. Your competition drops out. Think about this in relation to social media. Firstly, there are infinite competitors – and new ones, however short-lived they may be, will keep coming. You don’t need big budgets to build monstrous followings on social media, which means much lower barriers to entry than there are in other forms of marketing. Consumers and influencers come and go. Even the arena itself is constantly in flux. New platforms are emerging all the time, any one of which could become the next Instagram or WhatsApp. But most importantly, there is no way to define a winner. There is not even a traditional win/lose relationship – in that you can only succeed at the expense of a rival. To put it simply, in social, you don’t need to beat anyone to win. You just need to keep playing – and keep playing well. In a world where every investment has to pay off at some point – a world of deadlines, quarterly results and ROI – this approach to social can be a tough sell. Conversely, some might say this is no different from other long-term marketing initiatives, such as branding, which have no end point. But I would counter that social media marketing is different from everything else we do because it is so dynamic, so chaotic and so ephemeral. And that means you need to treat it differently. You need to behave differently. In short, social is not about winning. It’s about taking part. If you can’t win, what does good look like? So, if all this is true, what even is winning? What do we mean by ‘playing well’? In the long term, it’s about perception. If you play the game well, consumers who use social media will come to favour your brand. You therefore need to tell a story in social that consumers find appealing. Simple enough. But it’s also about flexibility – the flexibility to allow for many different kinds of communication within your social media activity, from customer service to short-term promotions. You can’t adopt a consistent tone of voice or subject matter for such varied activity. But what you can do is ensure that everything you do is honest. Whatever you do and whatever you say, you need to be authentic. In the traditional advertising era, the customer always knew when they were looking at an advertisement. An ad with a goal and a message put together to convince them of something. Companies could say whatever they wanted as long as it was legal. And customers read it and formed their opinions, accordingly. They might not like the ad, but for the most part, they had no alternative source of information with which the ad had to be consistent. But in the social media world, everything is public. How a company behaves, what it believes in – it’s all out there, and it’s all part of the equation when a customer decides whether or not to buy into a brand. And if the things a company says in its marketing are seen to be inconsistent with the way it is known to behave and the things it is known to believe in, consumers will smell a rat. Take Nike’s recent campaign featuring Colin Kaepernick. It’s about sport, so there’s authenticity there. But it’s also about sacrifice and being prepared to lose something in service to your beliefs. Nike may well have thought only of their financial gain with that campaign, yet there is no doubt they knew that in running such a polarising, political campaign, they would lose a lot of customers. They did it anyway – and that sacrifice – even if it pays off financially – is what made the campaign authentic. The good news is that you don’t need to fuel political anger to create an authentic story. You just need to find something rooted in what your brand stands for and what your company makes. Something that will serve you well into the future, because consumers believe it and because they believe that you believe it too. A game with no endgame. What all brands can learn from this is that whatever pressing need or opportunity you decide to address through social media, any end point you choose will be imposed by you. To your consumers and your competitors, nothing ever ends. In this chaotic, boundless battle, you’ll never win. So instead you need to focus on playing better, which means telling the best story. And the only stories that matter are those that are truly authentic for your brand. The first step to success is to accept that the game is unwinnable in any traditional sense. So forget about being a winner, and focus on the way you want to play and the stories you want to tell. Only that way will you learn to play better than anyone else.